you look comfy, and full of spring time. 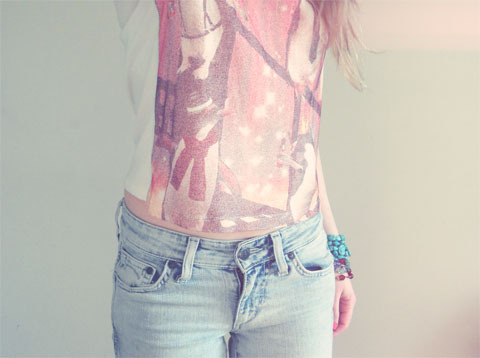 Your top it soo pretty! And I feel the same way when I take pictures outside. I'm trying to get over that too! You are too cute. I hate asking people to take photos of me too, but I can never get my camera to work properly on my tripod. 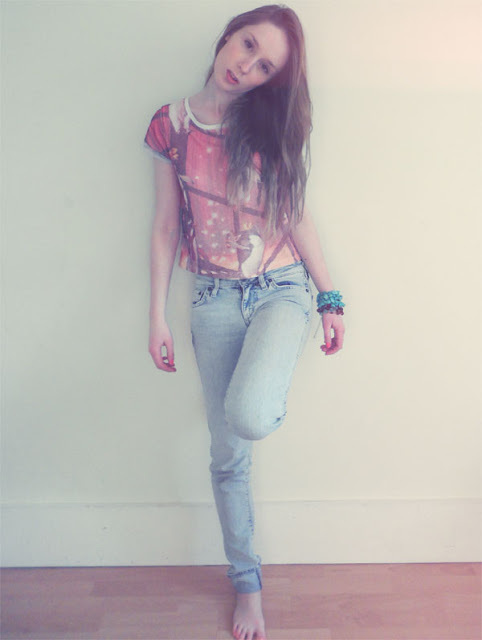 Love those acid wash jeans, need to get myself a pair. Can't wait to see your outfit posts around Brighton! I love these photos. 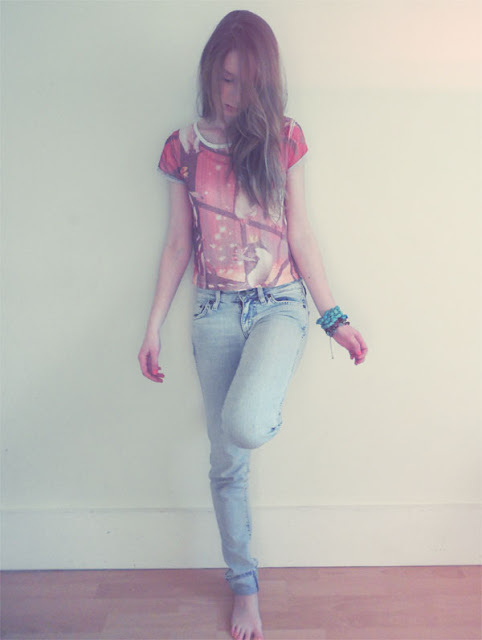 The bleached jeans and top look so good together - simple, but good! That is so my case too! 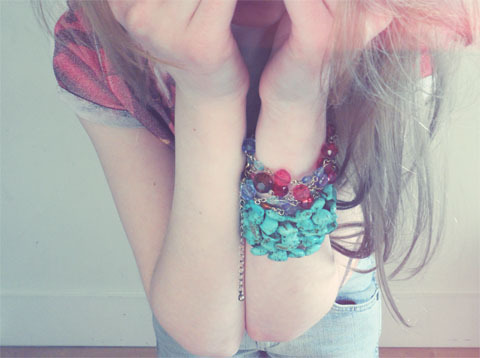 I just cant muster courage enough to ask people to take pictures of me, you cant tell what they would think!